Sailmon will be visiting the USA soon to meet customers, dealers, and boatbuilders. CEO Kim Coster and Service Director Richard Kent are traveling around Boston, Massachusetts and Newport Rhode Island from 21th till 26th of January. Home General Sailmon visiting the USA! Would you like to meet Sailmon in the USA to get more information about our products? Please send an email to kim@sailmon.com or fill in the form below! 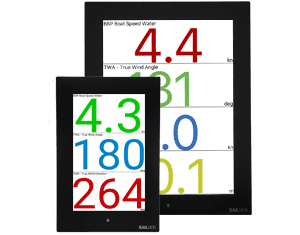 With the reviews to back it up, Sailmon offers beautiful displays, the best and most functional processors for any vessel and accessories to get you accurate navigation data. Subscribe to our monthly newsletter and stay up to date with the latest Sailmon news, coming straight in your mailbox. Please fill in the form below.